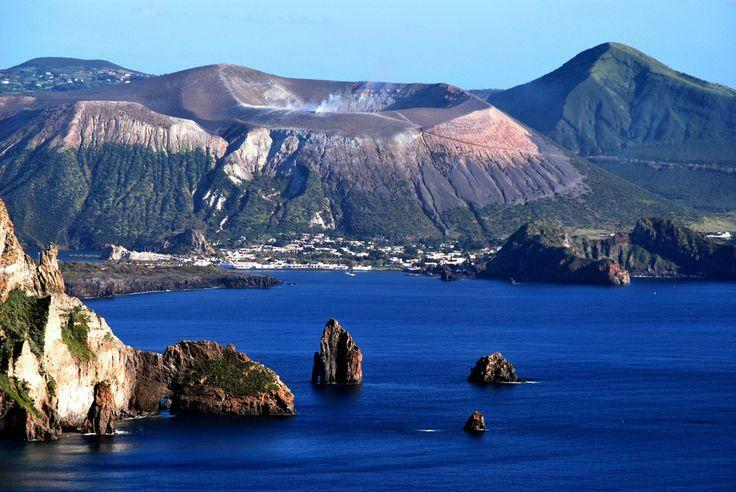 The Aeolian islands owe their name to Aeolus, lord of the winds, who, according to the writer Homer, lived here. This archipelago of volcanic origins is located in the Tyrrhenian Sea, in the northern Sicilian coast and has two active volcanos: Stromboli and Volcano. This idyllic islands are rich of surprises and contrasts. Who arrives here, both with the boat or with the hydrofoil, is overwhelmed by the beauty of the natural landscapes and is encouraged to explore them.The coasts and the seabed are wonderful but also the inside of these islands is full of charm: massive volcanoes always active, strange rock formations, thick vegetation in Salina, prehistoric villages in Lipari, Panarea and Filicudi and archaeological riches, preserved in the Archaeological Museum of Lipari.